Despite some promising initiatives to apply the landscape approach to a diversity of ecosystem types and an agenda that is gradually becoming more inclusive, until now the sustainable landscapes movement has focused primarily on forest ecosystems and landscapes where crop agriculture is prominent. Rangeland landscapes, on the other hand, have their own distinctive social and biophysical characteristics. The mobility of livestock keepers with their herds, for example, is both an adaptation of human communities to their environment and a fundamental aspect of ecosystem dynamics. Well-intentioned techniques and technologies, land restoration objectives, restoration metrics, institutional structures, and modes of stakeholder engagement from other settings that are not tailored to these characteristics of rangeland systems but instead applied unthinkingly as blueprints, will prove ineffective. Worse, they may undermine local processes that are already working but which do not conform to the expectations of international environmental actors. In dry rangeland settings, landscape approaches—even the very concept of what constitutes a landscape—must be reimagined. 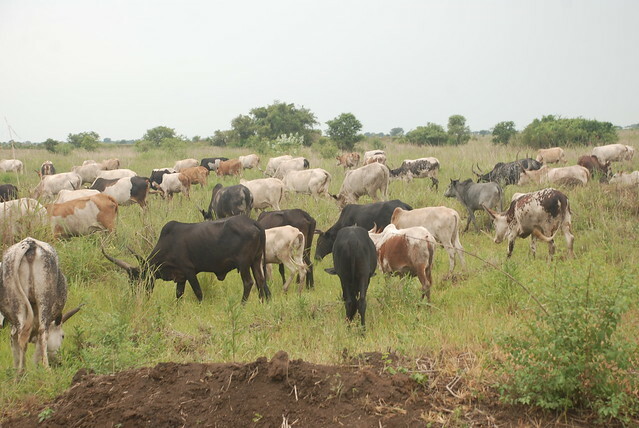 Cattle grazing in Gambella region, Ethiopia (photo credit: ILC Rangelands Initiative). Until recently, these ecosystems, have remained at fringes of most of the global environmental processes and debates. Global climate finance for instance, can apply to any category of ecosystem but rangeland systems have remained on the sidelines. This is because of misconceptions about them, their social and biophysical complexity, and uncertainty over methods and measurement. However, finally now there are tentative signs of change. With the Land Degradation Neutrality (LDN) framework of the United Nations Convention to Combat Desertification (UNCCD), for example, there is a piece of the global environmental governance architecture that at least has the potential to support sustainable management and potential restoration of rangeland landscapes. With adoption at the Second United Nations Environment Assembly (UNEA-2) of a resolution on sustainable pastoralism and rangelands and its call for assessing and closing the gaps in knowledge on rangelands, there is a strong impetus toward developing the knowledge that will be needed. This week, on 29–30 August, the Global Landscapes Forum (GLF) is being held in Nairobi, Kenya. This will be an important platform for ensuring that rangelands are part of the global agendas for sustainable development. On 29 August (day one), two scientists from the International Livestock Research Institute (ILRI) whose work is dedicated to rangelands—Lance Robinson and Jason Sircely—will give a joint ‘landscape talk’ on practitioners’ need to place livestock at the center of their thinking when implementing landscape approaches in pastoralist rangelands. On the second day of the forum, the Rangelands Initiative of the International Land Coalition will host a discussion forum on rangelands. 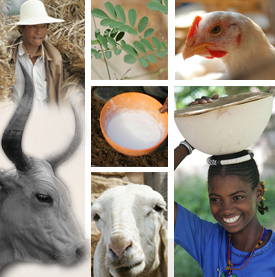 The global component of the Rangelands Initiative is coordinated by ILRI. Other partners of the Rangelands Initiative who are involved in the meeting include; the Food and Agriculture Organization of the United Nations (FAO) and more specifically the Pastoralist Knowledge Hub, the International Union for the Conservation of Nature (IUCN) and the United Nations Environment Programme (UNEP). The discussion forum will feature panelists who have specialized in the area of sustainable rangeland management, who will share experiences from various parts of the world. The panelists are Stephen Nindi, director general of the National Land Use Planning Commission of Tanzania, Enkh-Amgalan Tseelei, national coordinator of the Rangeland Ecosystem Management project ‘Green Gold’ in Mongolia, Abdelkader Bensada, a programme management officer at UNEP and Nahid Naghizadeh, senior expert and research associate at the Centre for Sustainable Development and Environment in Iran. Detailed profiles of these speakers can be accessed on the GLF website. The panellists will explore what the landscape approach can look like in rangelands, and how it can effectively contribute to the pursuit of global mechanisms and initiatives for sustainable landscapes. In so doing it will continue the process of widening the sustainable landscapes agenda and help to connect what rangeland communities are learning on the ground with global processes. If you can’t make it to the GLF in Nairobi, you can register here to join the meeting online. The Global Landscapes Forum (GLF) is the world’s largest knowledge-led multi-stakeholder platform for integrated land use, bringing together world leaders, scientists, private sector representatives, farmers, community leaders and civil society to accelerate action towards the creation of more resilient, equitable, profitable, and climate-friendly landscapes. The Center for International Forestry Research (CIFOR), UN Environment, and The World Bank launched the forum in Warsaw in 2013, alongside the United Nations Framework Convention on Climate Change Conference of Parties (COP). With core funding provided by the German government, the GLF is entering its next five-year phase with a launch a movement of 1 billion people towards the creation of sustainable landscapes. Tags: CIFOR, FAO, Fiona Flintan, Global Landscapes Forum, ILC, IUCN, Jason Sircely, Lance Robinson, UNEP. Bookmark the permalink.